Over the knee socks, Yay or Nay? 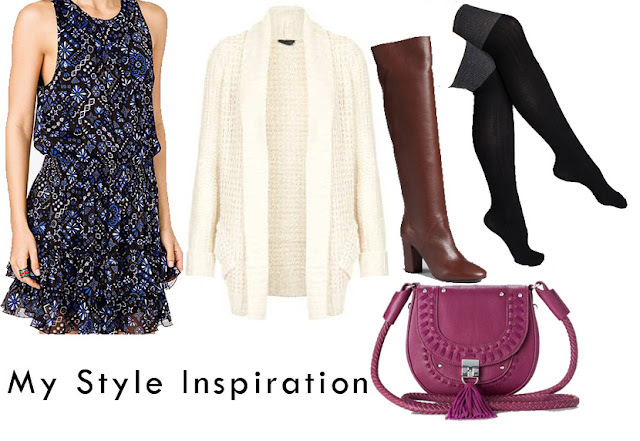 Over the knee socks is always a huge trend every fall. Since 1995, when I saw Alicia Silverstone wearing thigh high socks in the movie “Clueless”, I fell in love instantly with this trend. When Blake Lively wore thigh high socks in her TV Series Gossip Girl, I like it even more. I personally believe that thigh high socks are wearable and fashionable. It is more stylish than wearing leggings. No matter what your style is, this trend can be pulled off effortlessly. For me, I like to wear it with a dress and mary-jane shoes or boots then polish my look with a knit cardigan and cross body bag. Would you like to pair it with flat boots or pumps? 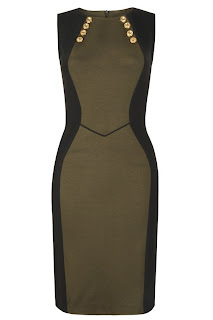 Would you wear it with shorts, skirt or a dress? Please leave a comment below and let me know how you wear thigh high socks. Not everyone is a fan of ruffles because some women think that the frills detailing is making them look larger or heavy. 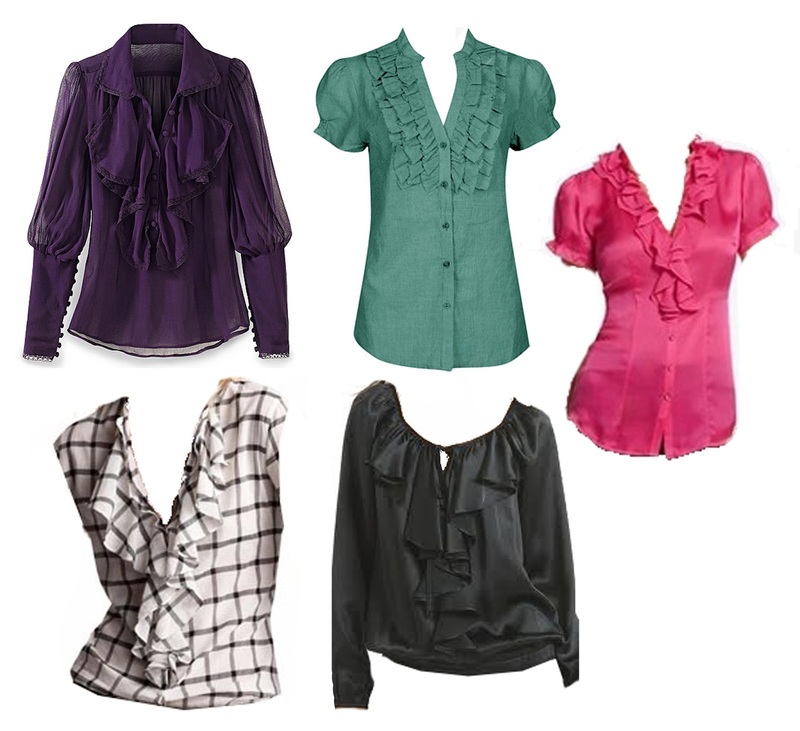 Most women have trouble finding the right ruffle blouse/top to flatter their look. There are no rules in fashion, but I believe the guidelines I have provided below will help you how you can look fabulous with this girly and timeless piece. Generally, find ruffles that will enhance or add volume to areas of your body like your shoulders and bust-area. Please note that you should keep these frills away from the areas of your body that are already full. The ruffles in the shoulder area can make you look taller thus the ruffles around the waist will make you look fat. 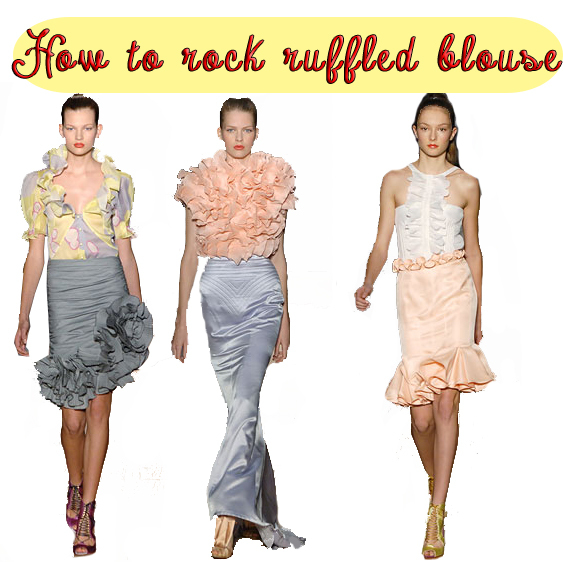 Please have a look at my ideas how you can rock ruffled blouse. If you want to create an illusion of having a full-size bust, choose ruffles that pass through in a horizontal line from your shoulder because it will attract attention to your bosom that’ll make it look larger. Go for vertical narrow ruffles if you have a well-endowed torso. Having ruffles in a vertical line brings less attention to the eye which avoids the elements from making your chest look any larger. 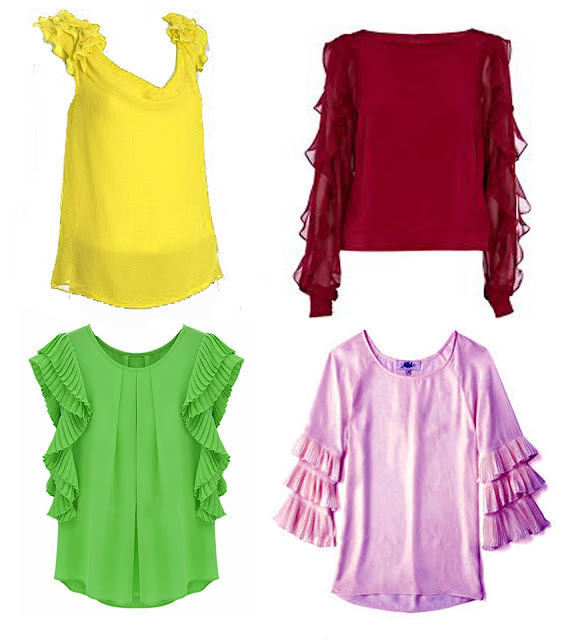 Some women are not fond of ruffles along the front so you may choose to try for a blouse with ruffles adorn in sleeves. Ruffles goes well with structured blazer and pants, for the trouser; you have to choose a style that flatters your figure. You may also want to pair it with tailored denim jeans as long as the color is dark blue and not acid wash to achieve that casual chic vibe. The ruffle itself is super feminine and romantic and we need to balance it out by contrasting with the blazer. It can’t get any better pairing a ruffled blouse with a black skirt; it is so feminine and gives a Victorian chic vibe. It looks sleek and has achieved the utmost chic style. *Pairing ruffled blouse with shorts is my favorite. I normally add cardigan and wear ballet flats for a soft and feminine look, this is my way to balance out the ensemble. Be cautious about dressing in large ruffles when you have a small frame. Ruffles are very visible trimming, one ruffle garment is enough. REMEMBER: ALWAYS ADD A DOZE OF CONFIDENCE AND I’M SURE YOU’LL ROCK ANYTHING YOU WEAR! Take a fashion class with mignon mignon store and discover more than 200 items (printed leggings, backpacks, tops and jewelries) with super discount 25% off. Neon is finally back. I’ve seen this hue for quite some time now and a big hit this season. I love it more and more because it is so bright which can automatically update your wardrobe. 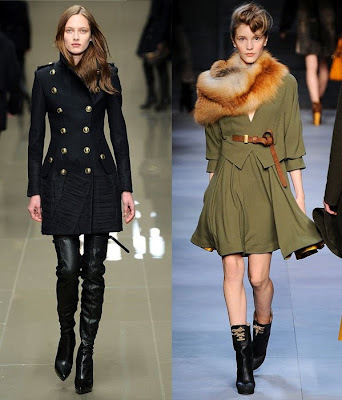 Here are the looks I’d like to share with you and some styling tips how you can rock this trend. Be bold and bright! Pair a neon blouse with floral shorts! Add a cute purse, for me I opted leopard print to match my printed shorts. Simple change and a little add on can take your look from day to night. I tucked in this printed neon dress over a bright orange shorts for a unique day time look and transform it by adding a fedora hat, peep toe pumps for night time. This look is so fun, cute and fab! If you’re not ready to try neon or your office policy won’t allow it, try neon blouse with geometric patterns or striped. Neon itself can be too dressy for work. 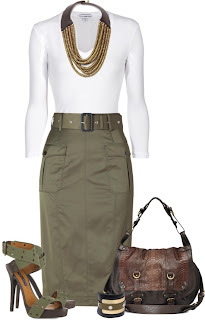 You may want to tone it down with a blazer, black skirt, tights, heels and simple jewelries. It is fun yet office appropriate. Can you tell me what is your favorite look from Outfits #1-3? Please do not forget to comment below and tell me what you think of the looks I come up with. While listening to music in my laptop, I was stunned that I have “Thrift Shop by Macklemore & Ryan Lewis ft. Wanz” on my playlist. By listening a couple of times, I instantly get hooked because I like the beat then I checked the lyrics, it's pretty interesting! The video is so quirky, fun and stylish! I came up with four outfits inspired by this song that I think are wearable, chic, cool and funky. I leave it all up to you guys how you modify the looks to your own style. ALWAYS add a little doze of confidence and I’m very sure that you can rock anything you wear! 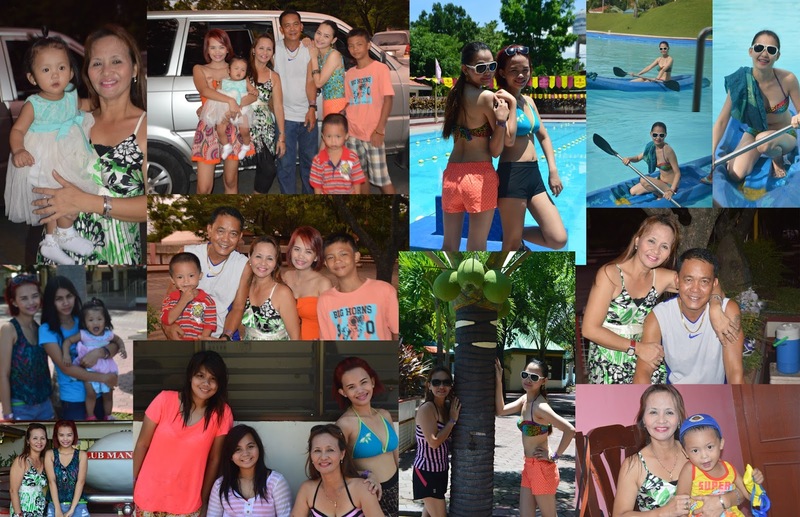 Have fun, relax and enjoy! Outfit#4: Is that your grandma's coat? Outfits#1 & 4 are my favorite because I love faux fur vest, skirts and metallic fabrics. If you know me well, I’m in love mixing bold colors, textures with patterns. I love how fun and cute these outfits and I feel so young whenever I’m wearing skirts. It reminds me of high school days. Metallic blouses and leggings are my favorite, I want blouses and pants that shine! If you want an instant mood booster, then I suggest you to wear something colorful, fun and shiny. Can you tell me what is your favorite from Outfits# 1- 4? Or if you have style ideas inspired by the same song, please comment below and link me up your post. I believe in the old saying – There’s no place like Home. I went outside and saw houses next door but it was never similar. 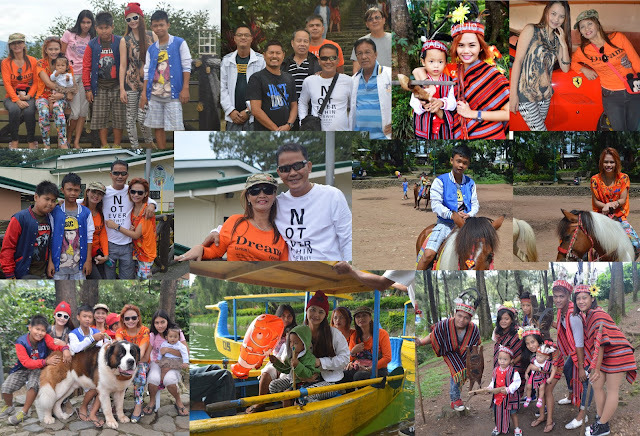 I like going back to Philippines, where my heart truly belongs. I miss my family so much every time I travel so this time I get the most out of my summer vacation. Before our families set out to attend festivals or load vehicles for summer vacation, make sure to begin all things with prayer. Before you leave your home give thanks to the Lord and pray for your plans and travel. Dear Lord, how we've waited for this vacation, and now it’s finally here. Thank You, Lord, for the opportunity to take a break from our daily routines and to replenish our minds, bodies and souls so they we may better serve You. Sometimes our expectations for vacations are unrealistic, and we find ourselves disappointed when things don’t go our way. Help us not to worry about having the ‘perfect’ vacation but to relax and enjoy every moment, whatever it may bring. We are grateful for the joys that await us-whether they be the beauty of your creation, recreation with family or friends, or peace and solitude. Watch over us and protect us as we travel, and brings us safely home again-refreshed and renewed. Amen. This is the best summer vacation ever! Celebrating my birthday out of town with my family and friends is the greatest experience I will cherish forever. 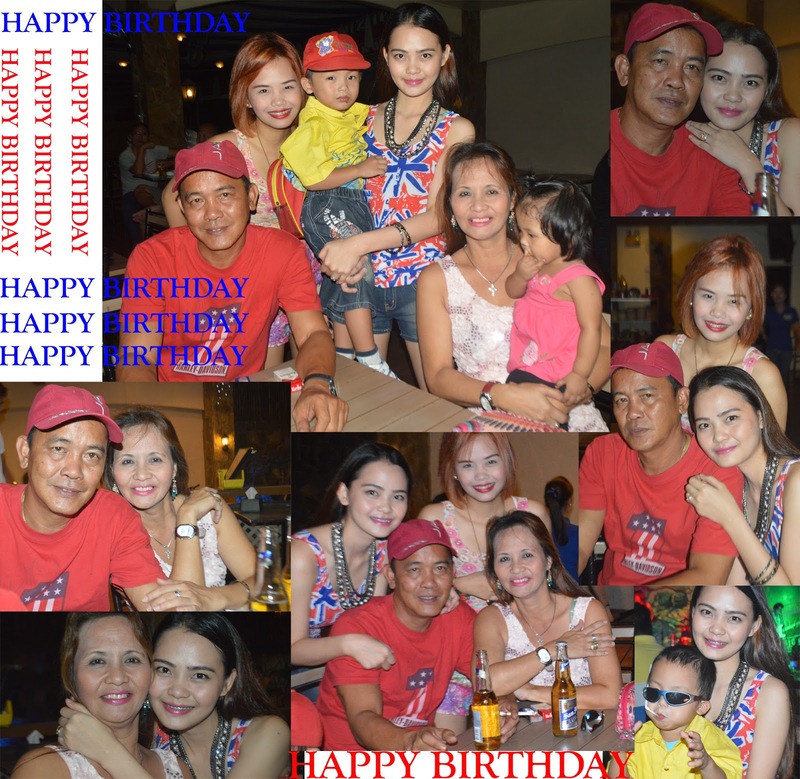 I'm glad I'm here in the Philippines to join and celebrate my Mom's 50th Birthday last July. My Mother is my best friend. I'm inspired a day before her birthday so I've created "Ways to bond with your Mother". <-Please click it! I took lotsa lots of pictures during my vacation and I want to pick my favorite photo but I can’t decide because all of these pictures are wonderful memories. I’ve put together four outfits in attention on a Peplum blouse. 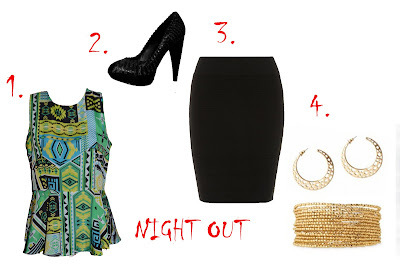 I’ve mixed my cool Aztec print peplum blouse with some accessories to create unique looks. 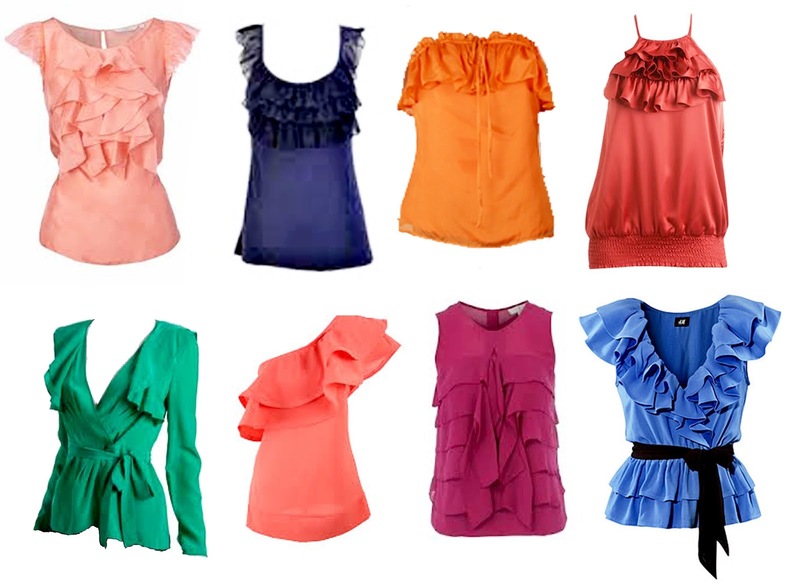 Depending on the environment, weather, gathering, there are so many ways to jazz up peplum blouse. Here are the looks I come up with. Outfit #1: CASUAL. 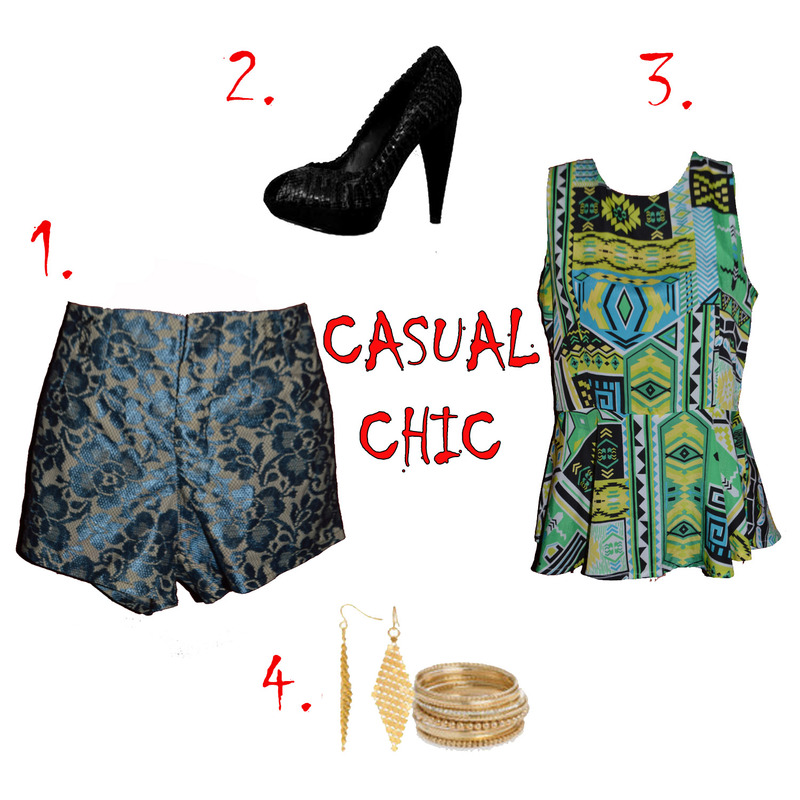 Pair it with ‘not too tight’ shorts, I chose blue lace shorts, peep toe shoes, dangling earrings and bangles. Now you’re ready to hangout with your girl-friends. Outfit #2: WORK. You can create a friendly work-environment outfit by pairing your peplum blouse with trousers/skinny pants, blazer, pair off with high heels, I opt not to 'excessorize' my accessories. I only wear simple bangles and earrings. Outfit #3: CONCERT. I love pairing peplum in denims. This look is my FAVORITE! 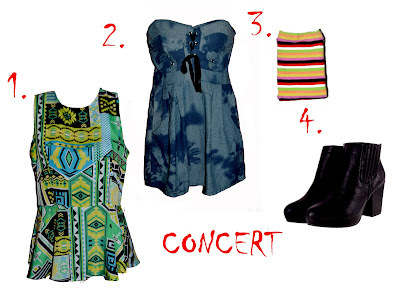 I wear my peplum blouse under this cute denim tube corset dress and pair it off with black leather boots, striped socks. I added some bangles and necklace to add more drama to my look. Please give me a shout out how you jazz up one piece of an outfit whether it's a skirt, dress or jeans throughout the day? 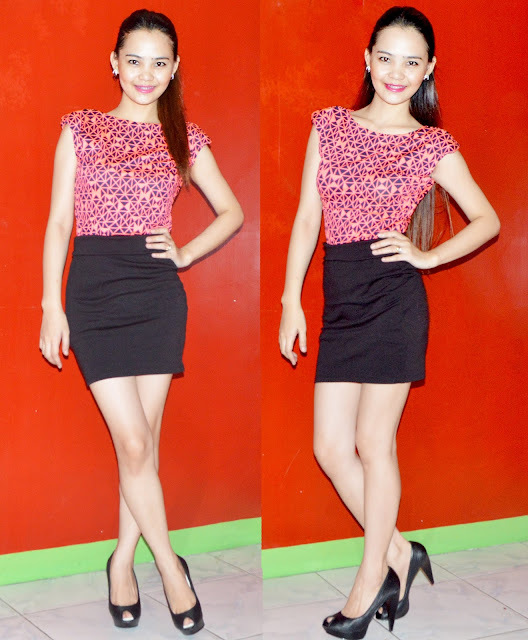 Stay fabulous and be confident! Military look is one of the fashion's re-emerging trend for year all round. I’m completely obsessed with its unique pattern and newly updated look. The beauty of this trend is that you can do so many different ways, dressed up or down for day in office or for a date in the evening. 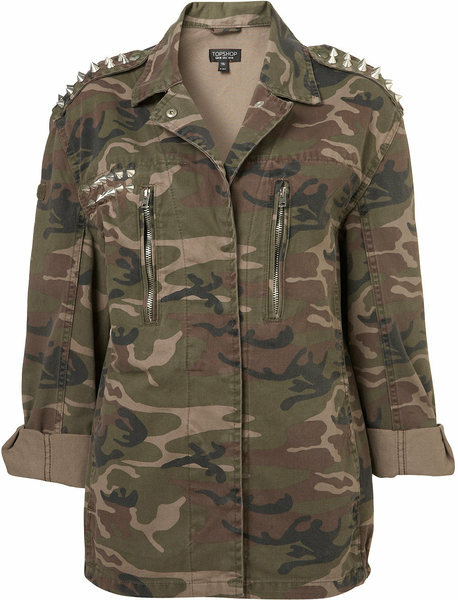 The military look definitely has given a new spin with its khaki army vibe, adding a hard masculine edge with some leather details, spikes and studs. 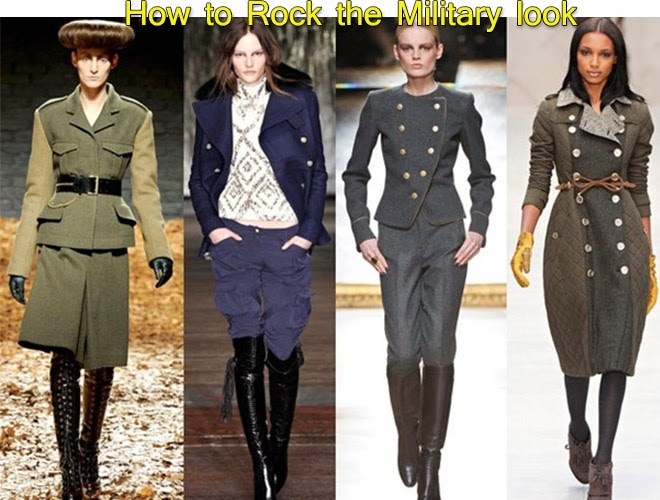 You can make your look more wearable by toning down the full-on army vibe with some lace-up boots, khaki jacket or by adding a cap. NEVER do it all at once. You can be the new army chic by adding army style accessories too. 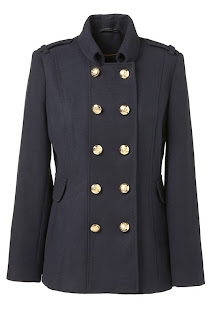 Slightly tough but very chic and not look like you’re going to a war. Let me give you some styling ideas and don’t be shy to share your thoughts. Please comment below and show us how you rock this trend. REMEMBER: It’s all about being eclectic and try to incorporate the look in your own style. Be yourself and ALWAYS add some confidence. Rock this trend and look fabulous!